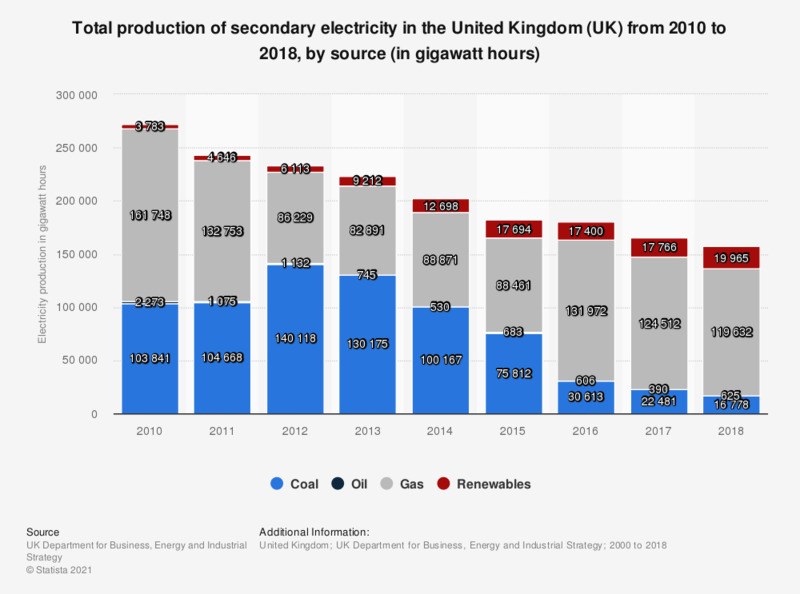 This statistic shows the total production of secondary electricity in the United Kingdom (UK) from 2000 to 2016, in gigawatt hours, by source. It shows that electricity production from renewable sources increased significantly over the years and totaled 17,694 gigawatt hours in 2015. Data only covers major power producers in the United Kingdom.